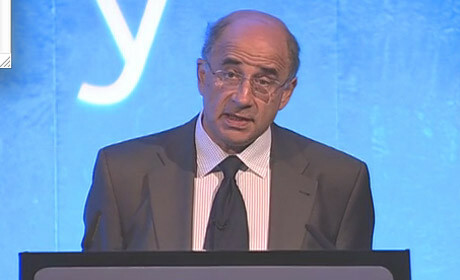 A group of lawyers, academics and journalists have drawn up a new model for media regulation and submitted the proposal to the Leveson inquiry as a suggested alternative to the Press Complaints Commission. The Media Standards Authority (MSA) would regulate non-broadcast media publishers and aims to attract publishers by offering a number of incentives for joining - including better protection against costly libel and privacy cases. The proposal is the result of a series of meetings between interested parties, led by barrister Hugh Tomlinson QC. The MSA would be independent of the newspaper industry but its governing council would include a minority of former editors and some working journalists. Participation would be voluntary, and each publication would sign a contract that includes sanctions for wrongdoing. The MSA would also have investigatory powers and regular audits would be carried out to check that participants are adhering to the codes of conduct. The proposal, submitted to Lord Justice Leveson, says: "The crucial feature of the proposal is a system of incentives - advantages accruing from participation and disadvantages arising from non-participation." Members would be allowed to display an MSA "kitemark" in their publications to show they adhere to the organisation's code of ethics and responsible conduct - whether they are a national newspaper or an individual blogger. The new body would also provide better legal protection against publishers. Anyone wishing to bring proceedings against a member for libel or breach of privacy would be required to go through an adjudication scheme with the MSA before going to court. A system of dispute resolution would aim to resolve complaints early and reduce legal costs. The MSA would also provide a confidential advice service on public interest issues, where journalists could seek guidance on whether a story is in the public interest. The 12-page document submitted to Leveson says: "This is a proposal which deserves serious consideration by the Leveson inquiry. "If the proposal attracts interest and support then we will provide a fuller document dealing with the practical details of the proposal."